Petal to the Metal is a very bright coral creme. I would even call it a neon, although it isn't advertised as one. This polish is extremely hard to photograph because the camera freaks out and can't show its true brightness. I did my best to edit the pictures and make them look as accurate as possible. 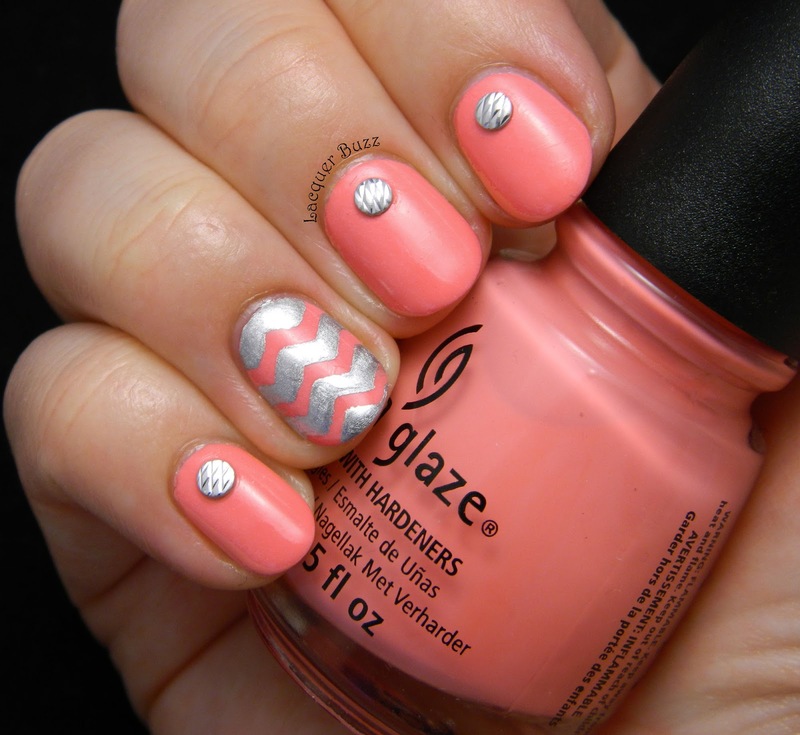 This beautiful polish inspired me to do some nail art on top and I chose to pair it with silver. As I've mentioned before, the polishes in this collection have been criticized regarding their formulas. This one didn't have an easy application, but in my opinion it has the typical formula of a neon. It's thicker and dries fast to a matte finish. It needs a bit of patience with application, but that didn't bother me too much. 2 coats were enough to get it opaque. 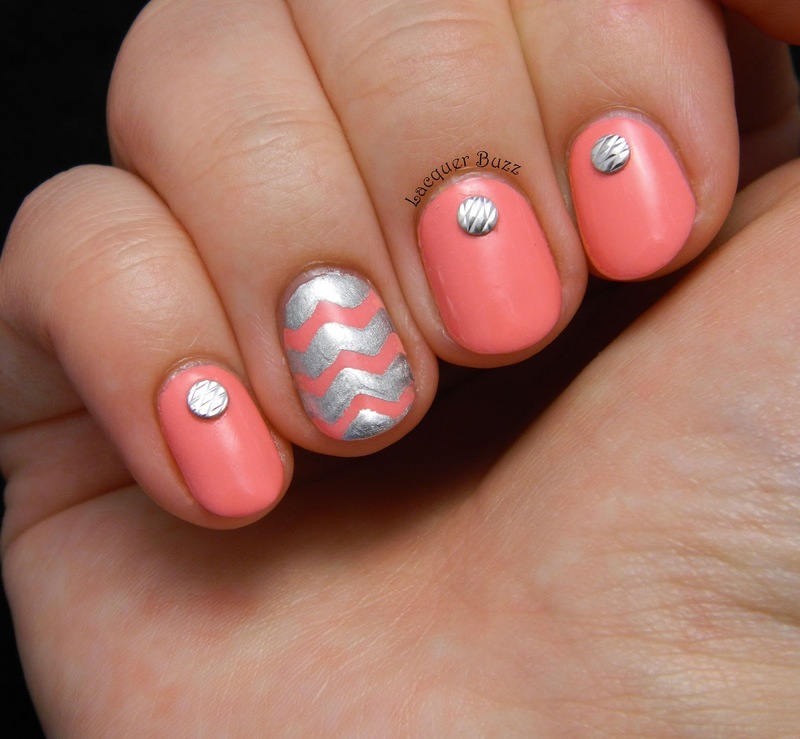 I used some crafting scissors to create chevrons out of tape and applied them as stencils on my accent nail. Then I applied a coat of a-england Excalibur and removed the tape while it was still wet. Because this process is quite time consuming, I only did the accent nail and used some textured studs on the rest of the nails. I really love this color and I'm sorry that I couldn't show its true beauty in pictures. 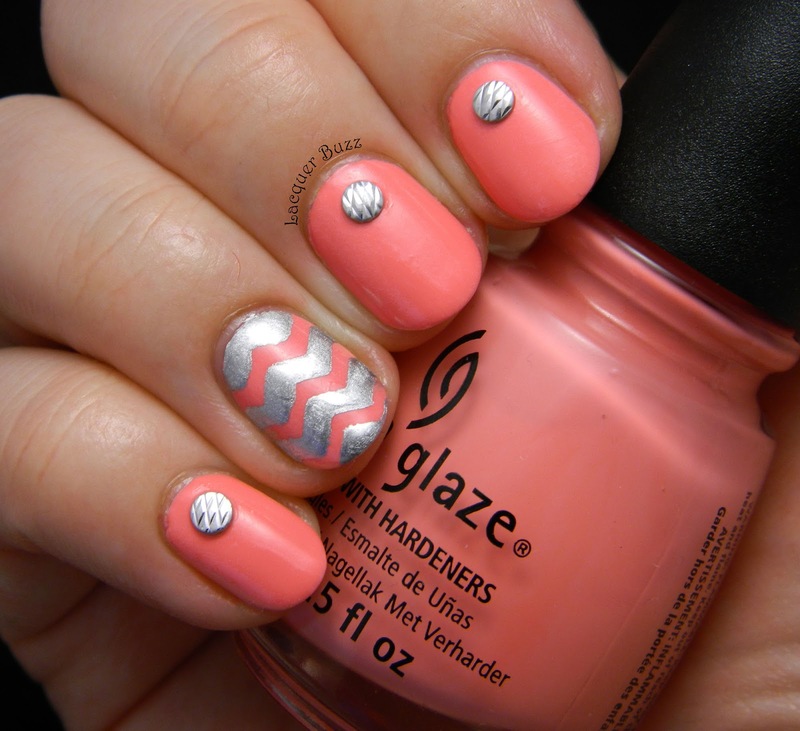 This is definitely a polish you have to see in person to understand how awesome it is. I also liked the combo with silver because it's an unusual pairing yet it totally works in my opinion. What a lovely neon creme! I love the simple design you created too. The studs you used are awesome too. Modelul creat e super cute! Adorable! 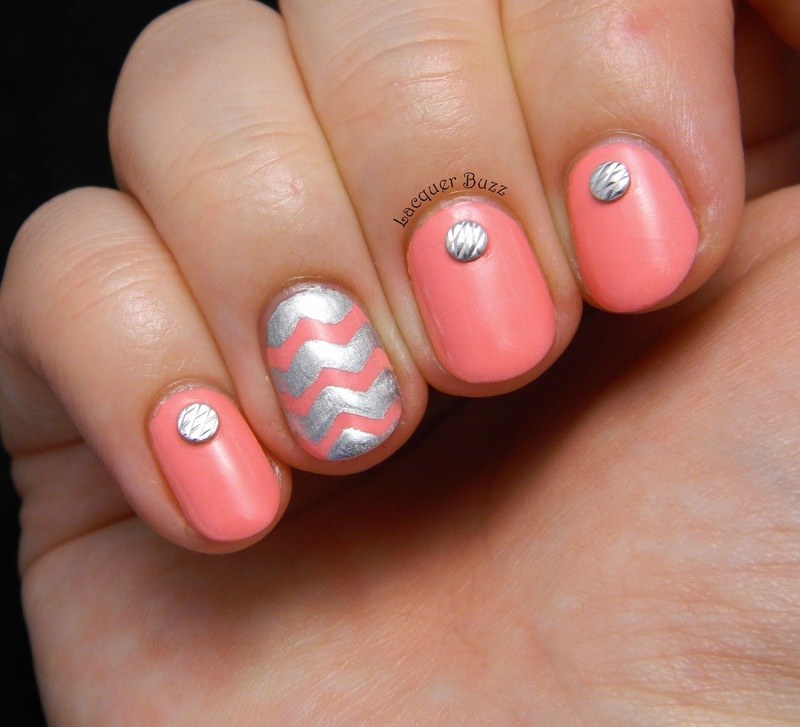 I love the Chevrons!